Sen. Lois Kolkhorst and listeria are two of the biggest things to come out of Brenham, Texas lately. The big Texas sky is one of my favorite things about this state. Native Texans, experienced in driving across the expanse of our state, know that there is nothing more beautiful than the Texas sunset right in the middle of spring. You can roll down your car windows, feel the cool air and enjoy the pink-purple-blue ceiling as it fades into night. It is one of my favorite things about my home. But Texas doesn’t feel like my home any more. Something has changed. It feels…meaner. President Lyndon B. Johnson, for all of his personal flaws, helped pass most of the modern legislation that we rely on to ensure equal treatment and justice. I am talking about the Civil Rights Act primarily. It’s not perfect but it’s what we have. LBJ was from Texas. His library sits on the campus of my alma mater, the University of Texas. In the center of the university is the iconic tower. From it’s front steps you can see the pink dome of the capitol. I wonder what LBJ would think about the work being done there in recent days. The Senate, through the direction of the Governor, has decided to take one more shot at passing legislation that would discriminate against some of the most vulnerable Texans. The legislation is now more commonly known as the “bathroom bill”. These bills would create unnecessary laws that frame innocent people as rapists and villains and liken women to damsels in distress, tied to the railroad tracks. It’s the kind of fear mongering that films like 1915's Birth Of A Nation were built upon. It’s mean and it is wrong and it is a distraction. It’s not the Texas I know. I try to keep perspective on people that are probably not evil but who are doing evil things. Like State Senator Lois Kolkhorst, who has proposed this legislation twice. Lois hails from Brenham. The small town is best known for making Blue Bell Ice Cream. If you are a Texan you know that Blue Bell is the only ice cream we eat here in the Lone Star state. Blue Bell just recently went through a terrible PR nightmare when some of their ice cream was contaminated with listeria — a bacteria that can cause serious illness; especially in pregnant women and the elderly — which is ironic in it’s own way. Blue Bell and Texas are wonderful. But like listeria in Blue Bell, Lois Kolkhorst is causing the Texas brand some stomach aches and it’s becoming a dangerous situation for many people. 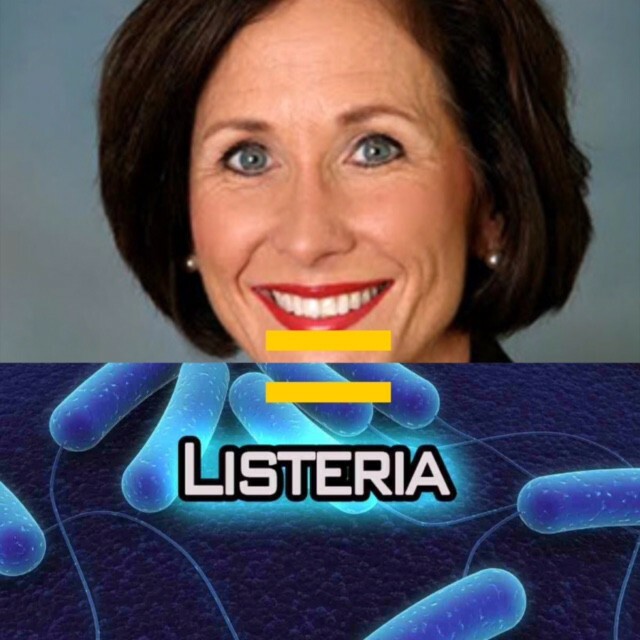 Yeah, I just compared Lois Kolkhost to listeria. Hear me out. Listeria on it’s own is just doing what it does. Listeria is not evil. It doesn’t have some insidious agenda to seek out people and harm them; at least it doesn’t intend to do that. I think Kolkhorst is the same way. I have observed her in meetings and working with colleagues. She seems nice. I am sure she has a family and friends. I am sure she has enjoyed a glass of wine while looking at the same beautiful Texas sky that I look at. She doesn’t mean to harm people, but she is. Lois and listeria are just being who they are — organisms that are a danger to the health, safety and well-being of Texans. The thing that is missing in Kolkhorst and the governor and the lieutenant governor and every legislator and voter that thinks that transgender people are so dangerous that they would risk tanking the state economy, is a clear sense of decency and justice. When LBJ was pushing through the Civil Rights Act he was thinking about the oppressed and the meek. He was trying to balance the scales a little bit. That was the type of Texan I was raised to be. Legislation like Lois Kolkhorst’s doesn’t do that. It’s mean, yes, but more concerning is it reveals the lack of accurate perspective and depth of thought on the part of it’s author and supporters. The bill is dangerous, but it comes from a place far worse for the future of Texas than hate. It comes from a place of ignorance. Kolkhorst is so upside down on her thinking that she can’t see the social justice side of it and brazenly ignores the evidence that shows it will financially harm all of us. She is a true believer. She is a warrior — a blind one. And although some leaders may be warriors; not all warriors should lead. To Kolkhorst and her ilk, if the cancer is in the head then the remedy is to cut off the head. If the nature of a place is reflected by it’s leadership, then Texas is simply a place to live but is no longer my home.